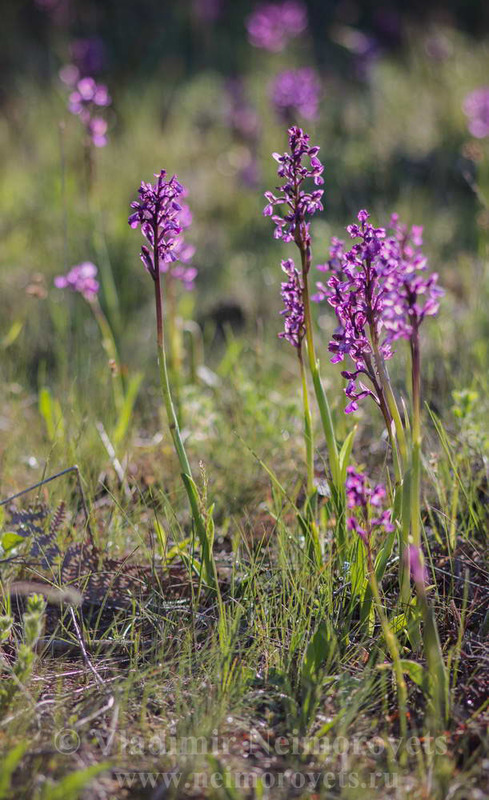 This species is listed in the Red Book of Russia, but in some localities it is still found in large numbers. 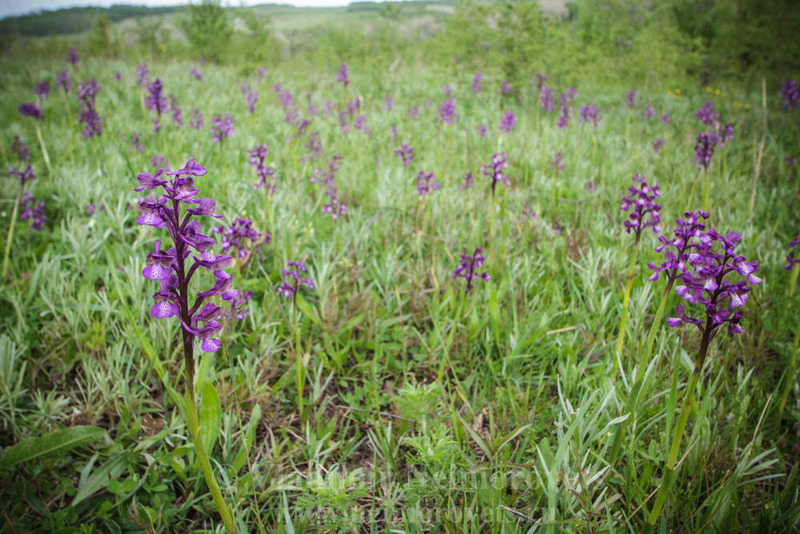 At the April, these orchids massively bloom in some places in the Seversky district of the Krasnodar Territory. 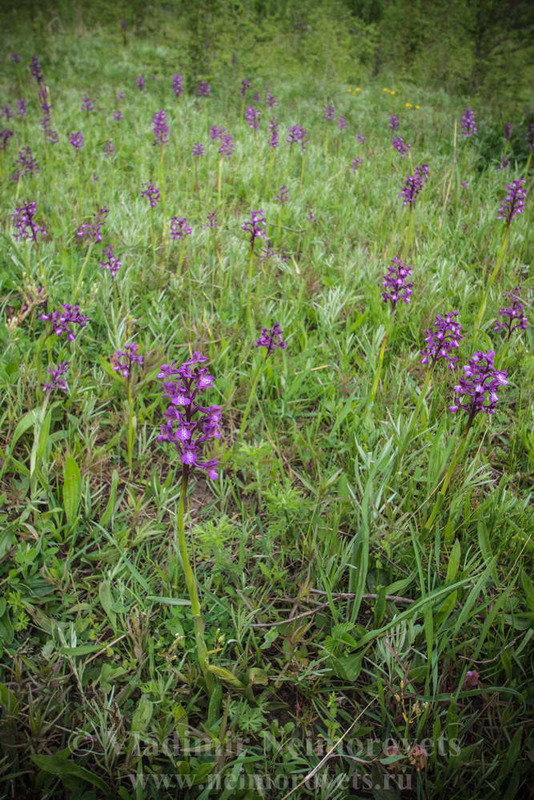 The congestions of flowering plants are well visible from afar, as they are not hidden by grass that has not yet grown. 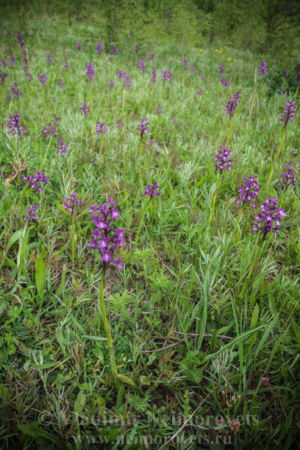 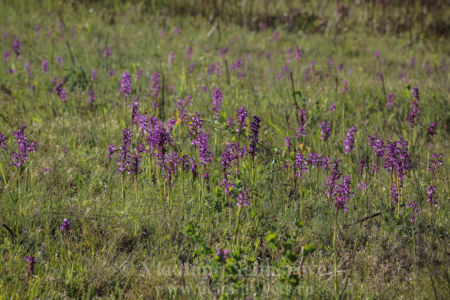 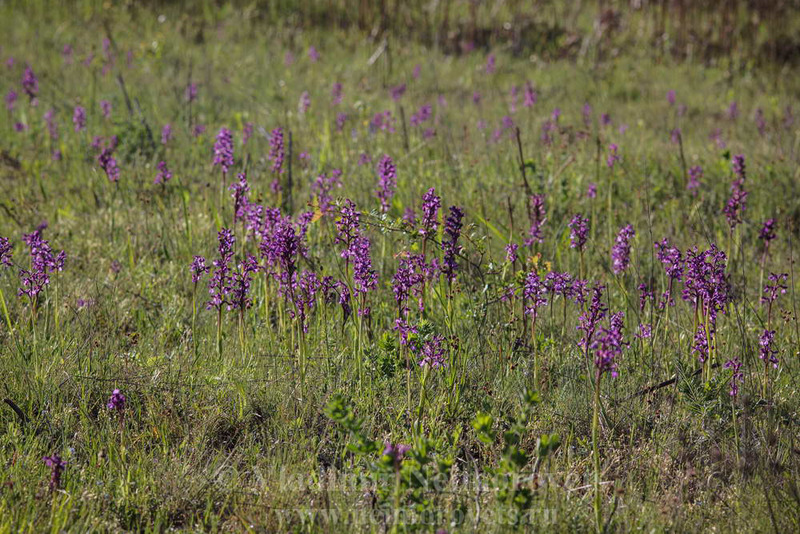 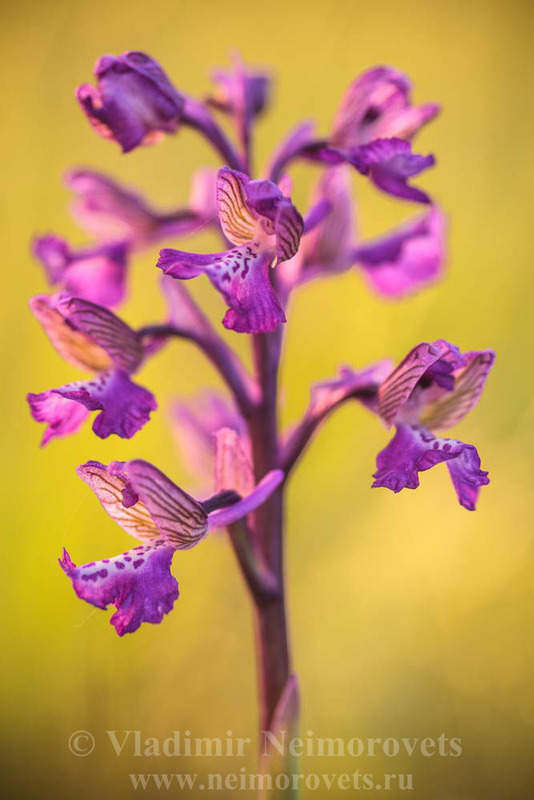 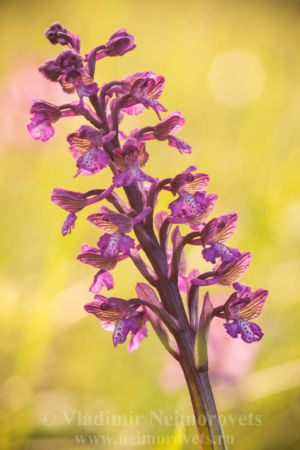 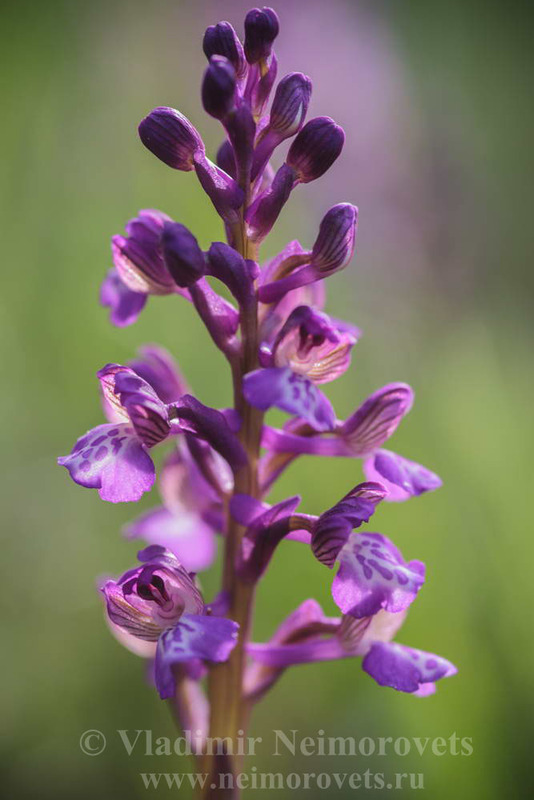 Here these orchids are grow on dry meadows with mixed grass and forest edges on the slopes of hills and low mountains in the southern part of the district. 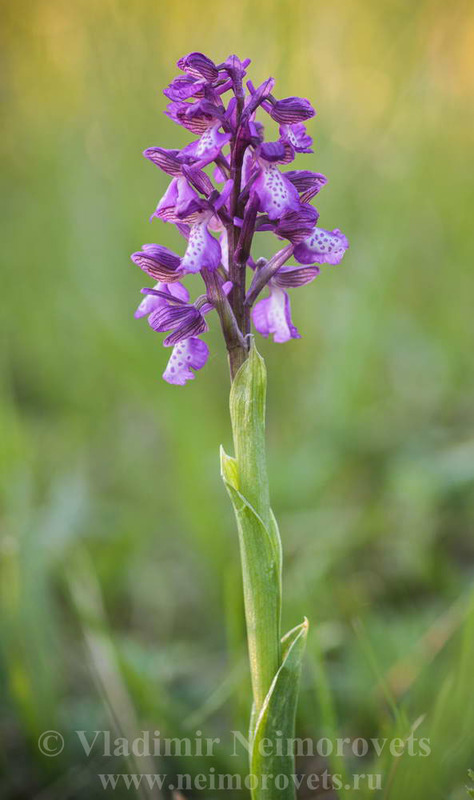 The area of this beautiful species is steadily shrinking. Among the main reasons — reduction of suitable habitats as a result of human economic activity, collection as a medicinal raw material (excavation of tubers), collection of flowering plants. 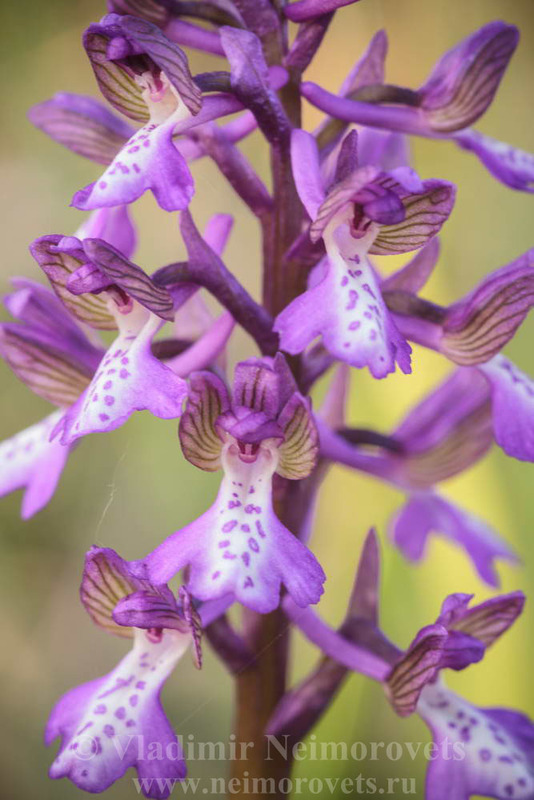 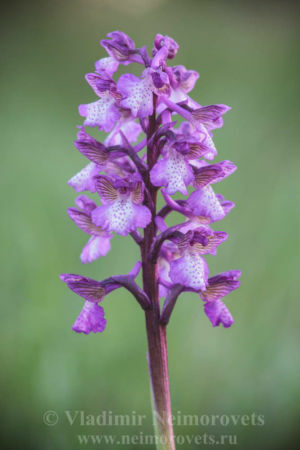 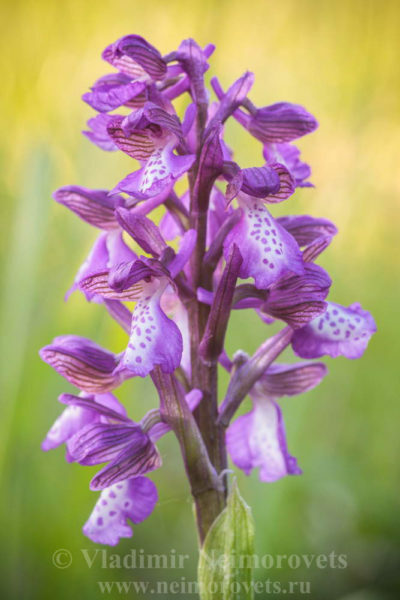 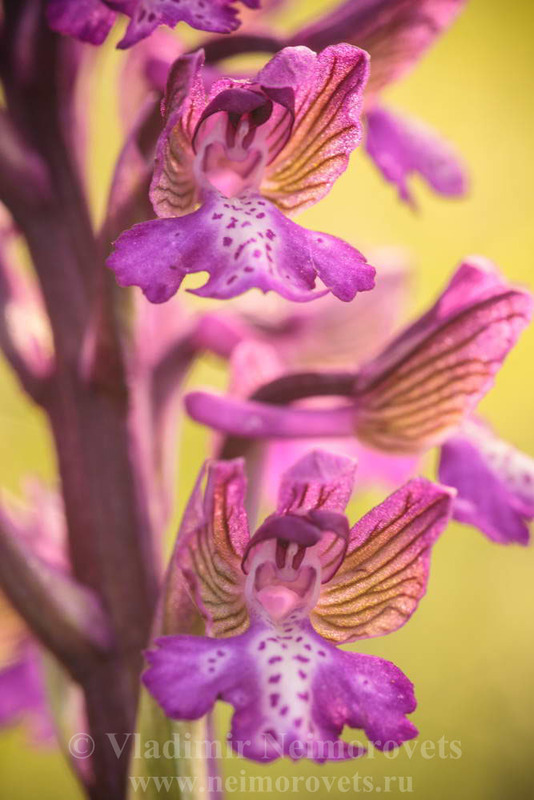 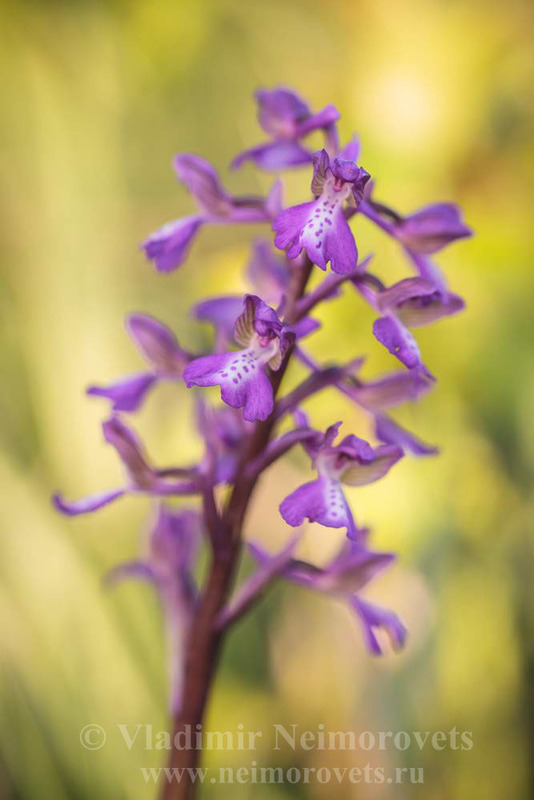 There is an opinion that the green-winged orchid is easy to cultivate. But in the early stages of the development of the orchid a symbiosis with certain species of soil fungi is necessary. If it is absent the development of the plant does not occur.